Birthplace : Roseau, Minnesota, U.S.
Garrett Hedlund is an American actor known for his role in the film Four Brothers and for his role as Sam Flynn in the film Tron: Legacy 2010. 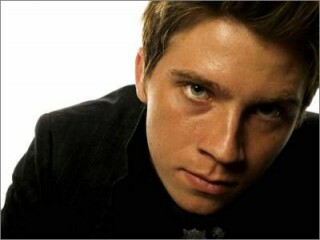 Midwestern-born actor Garrett John Hedlund debuted in the mid-2000s with a series of plum roles in A-list features. In the beginning, he seemed typecast as a well-rounded, average American young man, and made particularly strong impressions in that vein with his portrayal of high-school football hero Don Billingsley in Friday Night Lights, opposite Billy Bob Thornton. Yet Hedlund surprised and delighted his followers with a strong show of versatility thereafter, with effective portrayals as struggling musician Jack Mercer, who joins forces with his siblings to determine the reasons behind his mother's death, in John Singleton's urban drama Four Brothers (2005), and as Murtagh in the otherworldly fantasy Eragon (2006). In 2007, Hedlund essayed two very different roles: he joined Jane Fonda and Lindsay Lohan in the gentle rural drama Georgia Rule, then co-starred alongside Kevin Bacon in the one-man vigilante drama Death Sentence, about a father who attempts to wreak vengeance on those who rubbed out his family. View the full website biography of Garrett Hedlund.